A screenshot is a static image of what is being displayed on your computer or phone screen. In the course of troubleshooting, Airtable support may ask you to provide a screenshot demonstrating what the problem or issue is on your end. The process of taking a screenshot varies between platforms. The following are instructions for how to take a screenshot on different platforms and devices. There are a few different methods for taking a screenshot on a Windows computer. Not all methods will work on all versions of Windows. On your keyboard, press the PrtScn key. This will copy an image of everything on screen to your computer's clipboard. You will then need to paste (Cmd + V ) this image from your clipboard into an image editing program, such as Paint. Once you have pasted the image into Paint (or another image editing program), you can save the image file. This method works on all Windows versions, including Windows XP. Alternatively, if you want to skip the extra step of opening an image editing program, you can press the Windows and PrtScn keys. This will take a screenshot of everything on your computer's screen, and automatically save that file to your computer's Pictures library, under a folder called Screenshots. However, this method only works on Windows 8.1 and Windows 10. Note that in either case, these methods will both capture your entire screen, so if you don't want Airtable support to see everything on your screen, please crop the image before sending it to us! On your keyboard, press the Alt and PrtScn keys. This will copy an image of just the active application window to your computer's clipboard. You will then need to paste (Cmd + V) this image from your clipboard into an image editing program, such as Paint. Once you have pasted the image into Paint (or another image editing program), you can save the image file. This method works on all Windows versions, including Windows XP. The Snipping Tool is an application that comes with most versions of Windows that will allow you to take screenshots of the entire screen, of a specific window, or of just a specific section of the screen. 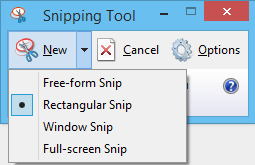 Once within the Snipping Tool, click the New button and select the type of snip you want to make. If you've selected rectangular or free-form snip, you can select the area you wish to capture by clicking and dragging your cursor. The window snip will let you select a window (e.g., your browser) and capture that. The full-screen snip captures the entire screen and works much like the Print Screen method. Once you capture the desired screenshot, it'll show up in the Snipping Tool window. You can then save the screenshot or edit it as you wish. This Snipping Tool works on Windows Vista, Windows 7, Windows 8.1, and Windows 10. Depending on how much of the screen you wish to capture, there are a few different methods for capturing a screenshot on a Mac computer. The screenshot will appear on your desktop as a file named "Screen Shot," with the date and time. To capture the entire screen, press Cmd + Shiftt+3. 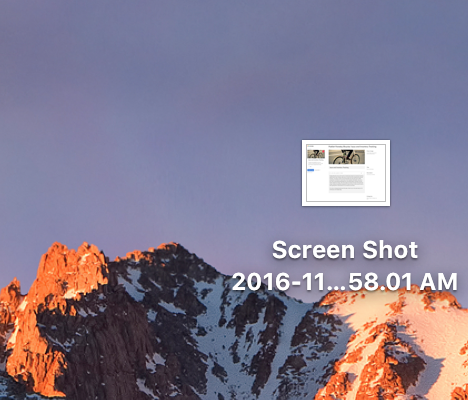 As with the above method, the screenshot will appear on your desktop as a file named "Screen Shot," with the date and time. Note that this method will both capture your entire screen, so if you don't want Airtable support to see everything on your screen, please crop the image before sending it to us, or consider using the partial screenshot method instead! To capture just one active window (e.g. your browser window, or the Airtable desktop app), press Cmd+Shift+4, and then press Space. Your cursor will turn into a crosshairs reticle, then a camera. With the camera icon, click on the open window you wish to capture (the camera will helpfully highlight the windows blue as you mouse over them). As with the above methods, the screenshot will appear on your desktop as a file named "Screen Shot," with the date and time. Screenshots are then stored in the Photos app. Given the variety in Android devices, there are several different ways to take screenshots, only some of which may apply to your particular device. The standard Android shortcut for taking a screenshot is to press and hold the Volume and Power buttons at the same time. However, not all Android phones use this method. Samsung phones, for example, require that you press and hold the Power and Home buttons at the same time. The method for retrieving the screenshot may vary, depending on your device, but usually, you can find the screenshots you've taken in your device's "Gallery" app. If these methods don't work for you, or if you have more questions on how to take a screenshot on an Android device, please seek help from the manufacturer of your specific device.